With the whole Internet buzzing about content marketing lately, it's no wonder that companies from Coca-Cola to smaller, local businesses are all putting aside a little extra of their marketing budget to online articles and web content articles. Some people think that "writing is writing," and the same skills and approaches apply to web content writing as to penning magazine or news articles. This is not the case; readers approach websites very differently than print media, placing a different set of demands on online content writing. Your writing style must adapt to take advantage of those differences, or readers will ignore your content writing. If you put a lot of work into packing your website with paragraphs of valuable information, then surely your audience will pore over every word, right? Wrong. Whether because computer screens tend to cause eye strain, or due to the sheer quantity of internet content, people don't really read websites. 79 percent of internet users skim online articles and websites, rather than reading word-by-word. Their eyes wander the page, scanning for important words and phrases. Long paragraphs blur into "walls of text" that most people just skip. So how do you get people to read your content? Change the format. Break down your ideas into easily digestible chunks, using short paragraphs and sentences. Organize important information in a visually-accessible manner, using informative headings, bulleted lists, colored or bold text for important keywords, and hypertext links. Links serve two purposes: they make your content seem more authoritative, and they highlight keywords. Most users spend a surprisingly short time on any given web page. While interesting and useful content might hold a reader's interest for a few more seconds, people's attention spans on the internet are fairly brief. If you want to deliver the maximum amount of information in the short span of time a visitor spends on your page, your content writing style needs to reflect that brevity. Expect to use half the number of words you'd use in writing for print. Unless you're writing to a very specialized audience, keep your word choices simple and accessible. That opens your content up to a wider audience, with varying levels of English fluency. Short sentences might feel choppy, but they're easier to parse. Go back and edit! Read through your content again, asking yourself, "Is there a simpler way to say this?" Focus on making your content easy and quick to read. Most Web users find sales language and hyperbolic claims annoying. Instead of being enticed by assertions of "the world's greatest" this, or "the absolute best" that, people just roll their eyes and hit the Back button. Moreover, hyperbolic sales phrases actually make text take longer to read, because the reader's brain takes time to analyze and reject the exaggerated claim before moving on. When you only have a few seconds to grab the reader's attention, you don't want them to waste time on processing superlatives that just make you look less credible. Your content writing should focus on objective descriptions and factual assertions whenever possible. Even if you're trying to make a persuasive point or sell a product, outlandish claims are a disadvantage. Keep your headings and subtitles meaningful and straight-forward, rather than cute or clever. Hyperlinks support your credibility by showing you can "back up" your claims. Your audience will never set eyes on your content unless their search engine leads them to it. Search engines zero in on keywords queried by users, so if you want your content to show up, those terms need to appear a few times in the body of your content. Work them in as naturally as possible; your keywords should make sense contextually, and not stick out like a sore thumb. Focus on content first, though; if your content writing is awkward and repetitive, your readers will just navigate away. And remember that your writing must be unique; search engines disregard copied text. Have you noticed these habits in your own Web surfing? What other traits appeal to you, or turn you off, in website content? 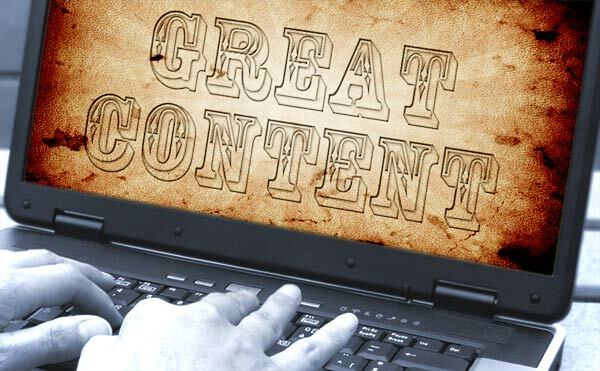 Content writing has exploded as a market thanks to the invention of inbound marketing. It's a great way for businesses to reach out and connect to their customers, and a great way for new copywriters to get experience in Internet advertising. Whether you're looking to write your own blog for your business, or looking to do write content professionally, you have to start somewhere. So, here is a simple guide to the basics of how to write content – what the purpose is, what goes into it, and how to connect with future customers. Content marketing was invented when it became clear that the old, “pushy” style of advertising really didn't work well on the Internet. People didn't want pop-ups and banner ads flashing at them like billboards on the old information superhighway. They wanted to have more control over how they received advertisements, and how they learned about new companies. What worked instead was to harness the power of search engines to guide people to you. The most common use for a search engine is to look for information on a certain topic. In fact, according to Pew Research, over 40% of all Americans use a search engine every day. So, if you can position your website so it's a top result when people run searches related to your company, you'll catch their eye. If your information is good\interesting\informative, they'll stick around, read more of what you have to say, and hopefully buy something. While content writing is very similar to copywriting in many ways, there are a couple important differences. Keywords: Keywords are at the heart of writing content. Keywords are important words and phrases that relate to your business, which you try to work into the article several times. A pet store, for example, would want to try to rank well for “dog food” and would write articles on topics like “What is the best dog food for a healthy coat?” Then they'd get seen by people searching for something like that phrase. Google has a good free keyword tool if you need help finding keywords. Links: Links to both your own pages and to external websites are highly important when writing content. You want to include internal links within your articles to other places on your website, and other related pieces of content, to encourage people to keep reading your material. 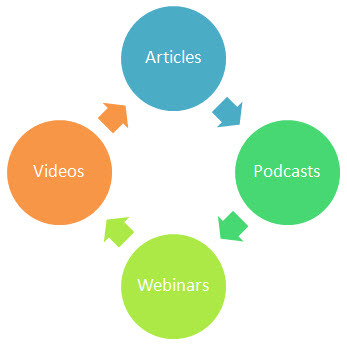 You also want to try link building from quality websites by writing the best articles possible. Interaction: One good way to get people to return to a blog is to get good conversations going. 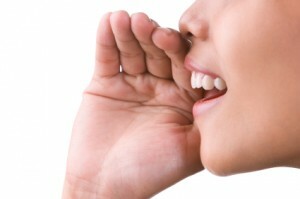 Your content should aim to provoke a response from readers, such as talking back your website's forum. Consider including direct questions to the reader to try to get them to engage with you. Write to the reader. Fundamentally, as they say, content is king. Your content needs to be something that people honestly want to read. If you don't have that, no one's going to buy. Write to solve a problem. You might be describing how to operate the products you make, or talking about issues in the industry that need to be addressed. 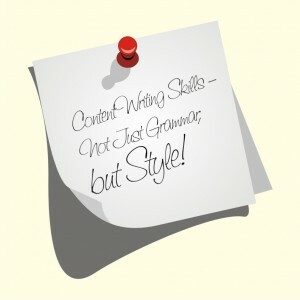 Either way, most of the best content writing aims to solve a problem that someone has. Use keywords and variations. If you're writing about lawyers in Nebraska, don't just write “lawyers in Nebraska” a dozen times. Try to vary it up with “Nebraska lawyers,” “attorneys in Nebraska,” and soforth. Be relatively informal. You'll need to match your writing voice to the image you want for your branding, but avoid being stuffy. Write to a layman audience and try to be inviting. What other tips helped you when you were first starting to get into content writing? Share your stories! If you're just starting out in the world of content marketing, you're probably going to write your own content for quite awhile. While full-service inbound marketing firms offer a lot of bang for your buck, it's a big investment for someone looking to get their feet wet in the blogging world. You, or someone in your office, are going to write content for your site before anyone else does. The good news is, anyone can write content for their website. As long as you follow a few simple rules, you'll be able to come up with blogs and whitepapers for your website that look like work done by professionals, while only “costing” you the time it takes to put words into a document. Maintain a consistent voice: In general, you should pick one “voice” for your blog and stick with it. Don't constantly jump between perspectives (like first- or third-person) and tones, or it will stick out. The only exception to this is if the blog is being maintained by multiple people – which is nice if you have the resources for it – in which case each writer should try to have their own distinctive voice. Only have one topic per blog: Resist the urge to make your written content too broad in scope. Each piece of content should have one specific goal or purpose. If you're covering a large topic with a lot of aspects, break it into several smaller blogs, each explicitly focusing on one part of the whole. This is a good place to apply your organizational skills. Stay concise and to the point: Don't overwrite. While opinions vary on the “perfect” length of a blog, generally speaking, if it's more than a thousand words, it's probably too long. Posts in the area of 400-800 words seem to work best. If you really want to pen a longer piece than that, consider making it an eBook or whitepaper and using a Call To Action to drive leads to it. Write to your audience: While it's fine to use your blog as a personal soapbox every now and then, remember that for the most part you need to write content that your visitors want to read. Talk to your sales and marketing group and work up a profile of what your average visitors look like, and try to focus on content that will appeal to them specifically. Be restrained in your keyword use: Layman readers may not know what a “keyword ratio” is, but they'll notice it if you're repeating the same phrase over and over. Writing that's overly focused on keywords will generally look amateurish and be harder to read. Besides, with the new Google Penguin updates, hammering on the same keyword repeatedly may not even gain you any extra traction anyway. Try using keyword variations to make your content writing more dynamic instead. Back up your assertions: Source as many of your claims as you can, especially if you're using specific numbers or borrowing another writer's argument. Well-sourced blogs look more professional, and they're more likely to impress people into sharing them. When in doubt, just think back to your college days and the rules of citation you learned in Freshman Comp. That same level of rigor in sourcing will aid you when you write content for your blog and increase your credibility. Use good headlines and subheadings: Since you only have a matter of seconds to grab visitors' attention, eye-catching headings are a must. Plus, readers' eyes glaze over when they see a wall of text. Subheadings make your content scan more easily and increases the chances of someone reading – or at least skimming – through all of it. What other rules have you developed for writing content? Share what you've discovered in the comments section!